Dr. Ruffin is a professor in the Daniel Guggenheim School of Aerospace Engineering at Georgia Tech, director of NASA's Georgia Space Grant Consortium, head of the Aerothermodynamics Research and Technology (ART) Laboratory and chair of the AE Aerodynamics and Fluid Mechanics Group. Dr. Ruffin is a specialist in high temperature gas dynamics, compressible flow aerodynamics, and airframe propulsion integration. He is leading development of a 3-D Cartesian Grid based Navier-Stokes solver (NASCART-GT) for design applications and development of Cartesian-grid approaches for chemically reacting flows. He is developing novel approaches which allow for Navier-Stokes simulations using a purely Cartesian grid solver. His Aerothermodynamics Research and Technology Laboratory applied these techniques to applications as diverse as hypersonic planetary entry vehicles and flow physics, rotorcraft airframe interaction flows, transonic and supersonic missiles and unsteady store separation problems. 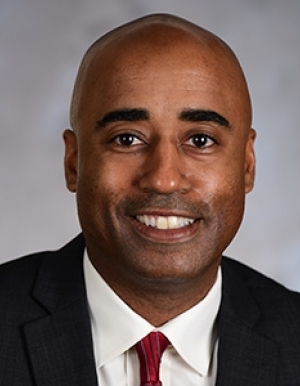 Dr. Ruffin is Director of NASA's Georgia Space Grant Consortium (GSGC) and is the national chair of the Council of Space Grant Directors. He leads the operations of the GSGC which conducts student research and design team activities, internships, scholarships, fellowships, K-12 student hands-on activities and camps, K-12 teacher training programs and public outreach activities at museums, science centers and in the community. Through roughly 40 annual projects conducted by the GSGC, 30,000 Georgia residents and over 4,400 educators are trained annually. In his national chair role, he helps coordinate activities of space grant consortia from all states and helps set the direction for national STEM outreach efforts.